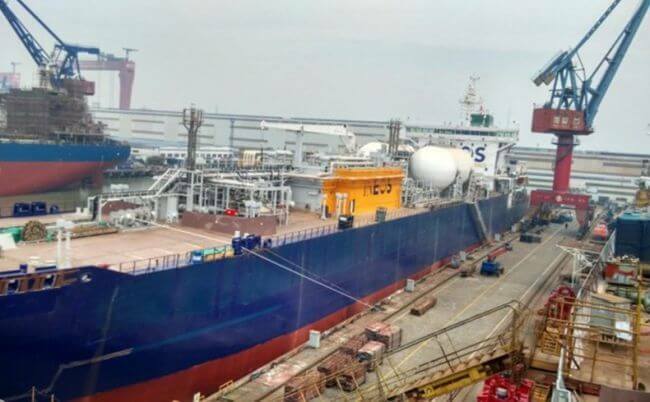 Avenir LNG Ltd (N-OTC: Avenir) is pleased to announce the signing of contracts with Nantong CIMC Sinopacific Offshore & Engineering Co. Ltd. (SOE) for the construction of two 7,500 cbm LNG carriers, at its Nantong, China shipyard, with options to build two more. Delivery of the two LNGC new buildings is scheduled for May and August 2021. The ships are designed to include ice class 1B, full bunker functionality, double hull and dual fuel electric twin azimuth propulsion. Privacy guaranteed! We hate spam too. Watch: How Ships Transit The Longest Man-Made Canal In The World?